MyPeBS (My Personal Breast Screening) is a major ambitious European initiative. This unique international clinical study compares a personalised risk-based screening strategy (based on the individual women’s risk of developing breast cancer) to standard screening among 85,000 women aged 40 to 70 in 5 countries: Belgium, France, Israel, Italy, and United Kingdom. The Institute Jules Bordet (IJB) is a comprehensive cancer centre affiliated to the Université Libre de Bruxelles, with 700 employees including 140 medical specialists and 260 nurses involved in medical care and prevention, education, research. It publishes 200 publications per year in peer reviewed journals. 600 patients included into clinical trials. IJB is the cancer reference centre for the Brussels Public Hospitals and Université Libre de Bruxelles hospitals network. IJB is accredited as a Comprehensive Cancer Centre by OECI Accreditation & Designation Programme. Jean-Benoît Burrion, M.D., is actively involved in both fields of a Cancer Center’s quality policy and cancer prevention/early detection. 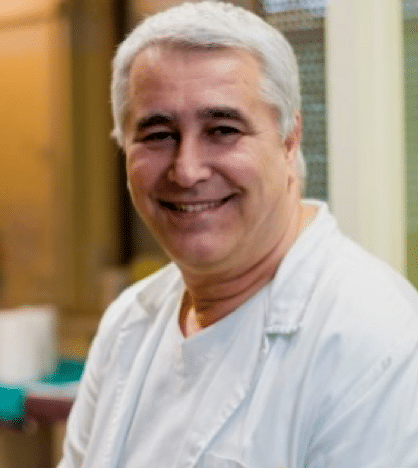 He holds the position of Deputy Medical Director and heads the Prevention and Screening Clinic at the Institute Jules Bordet. He earned his medical degrees at ULB (Brussels). He has a degree in tropical medicine (Institute of Tropical Medicine, Antwerp), in occupational health and industrial toxicology (UCL, Brussels), and in hospital management (ULB, Brussels). He worked for 20 years as a medical doctor / a program manager on crisis conditions and health development issues in low income countries, before definitively turning to cancer care and prevention. Having developed the quality policy and set up the Quality Unit in the Institute, he is now involved in the OECI (Organisation of European Cancer Institutes) accreditation program, which is an ISQuA (International Society for Quality in Health Care) certified European instrument aiming to promote quality in cancer care and research across the EU. He is currently developing several cancer prevention projects and activities, both through the Institut Jules Bordet Prevention and Screening Clinic, and through the public Brussels Coordination Center for Cancer Screening. The Projects encompass development of risk stratification based approach of population screening, multi partnership pilot screening programs, environmental health issues … He is also a lecturer in cancer epidemiology at the nursing school HELB. The IJB is a co-lead investigator of the clinical trial and will lead on activities linked to inclusion and follow-up for the clinical trial in Belgium. IJB will be involved work packages, notably the task-group dedicated to tomosynthesis, and will provide advice and support throughout the project, notably in the area of communication. ECL is a pan-European umbrella organisation of national and regional cancer leagues. Established in 1980, ECL has been providing a unique and important platform for cancer societies in the extended Europe, from Iceland to Turkey. ECL’s 26-member leagues provide advice, support, and other services in cancer control in 23 countries (as of 2016), to a total of 489 million European citizens. campaigns; services for patients and their families and relatives; and direct support for research to defeat cancer. David is currently the senior cancer control officer for the Association of European Cancer Leagues (ECL). His focus at ECL is on both primary and secondary prevention of cancer, with an emphasis on public communication of cancer prevention. He is responsible for the promotion of the 4th edition of the European Code Against Cancer via collaborative working amongst the national and regional cancer leagues. David is a member of the working group of the European Quality Assurance Scheme for breast cancer centers, which is coordinated by Joint Research Centre of the European Commission as part of the European Commission Initiative on Breast Cancer. David is also a doctoral student at the University of Antwerp where the focus of his research is on evaluating informed decision-making for breast cancer screening participation in Europe. ECL will be mostly active the work packages on communication and psychological and social assessments for the participants in the trial. To inform them of the project, its progress, and findings will provide technical and administrative resources to patient organisations within this work package. ECL will engage its membership to be active at relevant points in the project, particularly in those countries of the investigative trial actions. Eonix is a Belgian spin-off from the Engineering and Medical laboratories of the Université catholique de Louvain. The company is dedicated to IT development for institutions having highly sensible data requiring high traceability and security of their process. We are working for Ministries, Hospitals, research agencies and large and smaller companies. The company was founded in 2007 and is composed of thirty-five full-time ETP staff. Autonomous, profitable and financially independent, the company is driven by its initial founders. The Company has developed central platforms for breast cancer screening in the area of Brussels and in Luxembourg. The platforms are used for the whole workflow, going from the invitation for the women in the database to the final protocols after second and third readings, with all the intermediate tests and integrations. Furthermore, the system is integrated with different official instances. The company also works on the sharing of data for clinical studies and registries related to various pathologies. These platforms are used by hundreds of institutions in Europe which register data for hundred thousand of patients. Aloys du Bois d’Aische received the Degree in Electrical Engineering from the Universitecatholique de Louvain (UCL) in June 2002. He did his PhD on brain neck and brain images registration until 2005. After two years spent in a biomolecular laboratory, he created Eonix with Bruno Juste and professors Benoit Macq and Jean-Luc Gala in 2007. Eonix will be in charge of the development, maintenance, interfacing and quality controls of the trial’s dedicated web platform (WP1). Unicancer in numbers: In France, the FCCCs treat: 30% of the women with breast cancer, 21% of the patients with endocrine cancer and 20% of women with gynaecologic cancers. A key player in research in France, Unicancer is the main European academic sponsor in oncology: 5000 patients included in R&D sponsored-clinical trials ; 86 ongoing clinical trials, including 44 in recruitment phase; 216 investigational sites involved (public hospitals, private clinics, comprehensive cancer centres), including 52 located in 8 other countries. Suzette Delaloge became a specialist in medical oncology in 1997, and also obtained Master degrees in molecular biology and genetics. She spent a year in Ottawa, Canada, as a research fellow in Pr McBurney’s molecular biology lab in 1993. Dr Delaloge joined the breast cancer team at Gustave Roussy in 1999. Dr. Delaloge has been Head of the Breast Cancer Department at Gustave Roussy, Paris, France since 2004 and currently leads a multidisciplinary team of 70 doctors, caregivers and researchers, coordinating and managing all clinical and clinical research activities. Dr. Delaloge’s major areas of expertise and development are precision risk-based cancer prevention, therapeutic development guided by prognostic and predictive biology, and the organization of care in breast oncology. She has been investigator, principal investigator, national or international coordinator of more than 120 clinical trials over the last 20 years. Dr. Delaloge is the author of more than 210 international peer-reviewed publications and more than 500 presentations at international conferences (Google Scholar H-Index: 53). She is chairwoman of the National French Cooperative Breast Cancer Intergroup –Unicancer (UCBG). 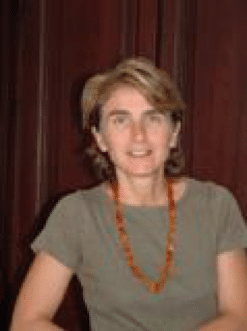 She is a board member of the European Society of Medical Oncology (ESMO) and of the French Society of Breast Care and Breast Pathology, and a member of the American Society of Clinical Oncology (ASCO). Dr. Delaloge is breast specialty editor for European Journal of Cancer and genetics editor for The Breast, and is also a regular reviewer of major international journals in oncology and research. She is a member of several national and international academic commissions, steering committees and scientific boards. Dr. Delaloge is finally committed to continuous teaching activities dedicated to doctors in training and medical students. Camille Baron, PharmD, has 20 years of experience in the field of health, mainly in the biotechnology domain. Her areas of expertise are clinical research and scientific & medical communication, which she acquired by working both with academic institutions and pharmaceutical companies (Ariad Pharmaceuticals (Cambridge, USA), Pasteur Institute, LFB Biotechnologies, Sanofi-Genzyme, Unicancer). She has developed knowledge in immunology / infectious diseases, oncology, heamostasis, rheumatology and rare metabolic diseases, as well as in project management skills. 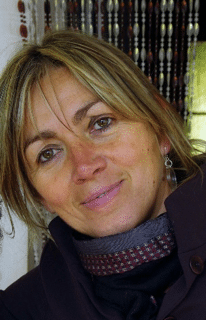 Cécile Vissac-Sabatier, PhD, is a Clinical Project Manager at UNICANCER. She has a PhD in Biology. She has over 10 years of experience in the management of clinical study first as clinical research associate and after as clinical project manager. She has worked in the public and in the private sectors on various indications in oncology (breast cancer, multiple myeloma) and non-oncology (Crohn disease, Rheumatoid Arthritis, Interstitial cystitis). She has joined UNICANCER in 2015 and she has been in charge of many clinical studies in breast cancer at national as well as international level. Unicancer is the lead partner and coordinator of the project. As coordinator, Unicancer will ensure the scientific integrity of the project and efficient management of the overall project. Unicancer is also the sponsor of the clinical trial in all countries involved, thus will oversee the regulatory and day-to-day management of the clinical trial internationally. Gustave Roussy is the largest European Cancer Centre. It is a centre for patient care, research and teaching, and patients with all types of cancer can be treated there. For 70 years it has been developing an approach to oncology which remains faithful to its founder’s values: innovation, dynamism, cooperation and benevolence. All of this is built on the three guiding principles: patient care, research and teaching. Dr Corinne Balleyguier, MD, PhD, is head of the radiology department at Gustave Roussy Cancer Campus, Villejuif, France. Dr Balleyguier is specialized in Women Imaging, Breast and gynaecologic Imaging. She is chair of Radiology department in Gustave Roussy. Her field of expertise and research is innovation in breast imaging, with development of new imaging techniques to improve breast cancer screening, diagnosis and treatment (contrast spectral mammography, tomosynthesis, elastography under ultrasound and MRI, laser treatment of breast tumors etc.). 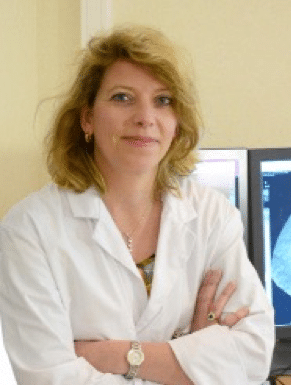 She is a member of the French radiological society (SFR), vice-president of the French breast Imaging society (SIFEM), the European Society of Radiology (ESR), and the European Society of Breast Imaging (EUSOBI). She is an active member elected since 2012, of the European Society of Uro-genital Radiology (ESUR), the Radiological Society of North American Radiology. She is part of the ESUR gynaecological subcommittee since 2008. 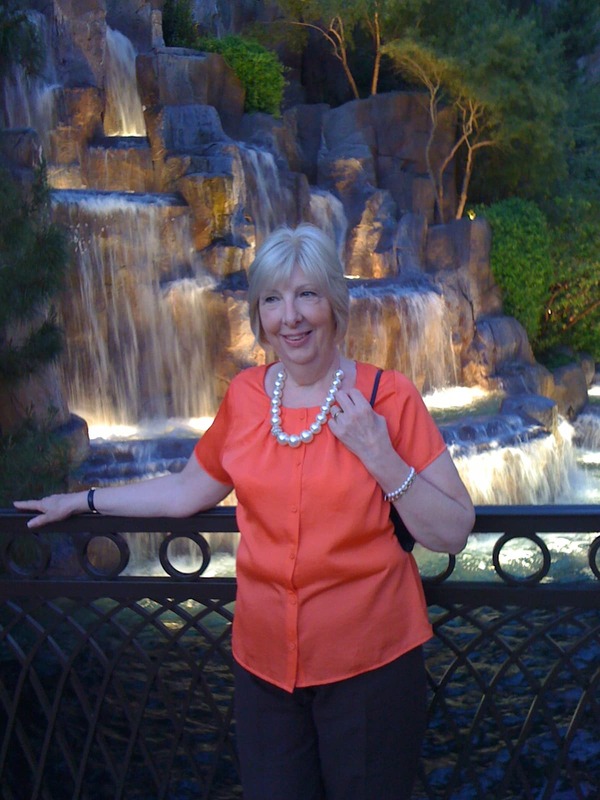 She has been section editor on Woman Imaging for European Journal of Radiology since 2010. Dr Balleyguier is involved in breast Imaging committee for ECR 2012-2013-2014-2015. She was the Chairwoman of Uro-Gynecological Imaging of ECR 2010 and of breast imaging committee for ECR 2016.
with the project lead, the research investigators in France. Gustave Roussy will also perform the full statistical analysis of the clinical trial results and ensure the quality control of the data. Founded in 2004 and headquartered in Paris, France, with a US location in Boston, MA, Predilife specialises in statistics and data mining. Their first product was Mammorisk, an innovative software tool that can be used to estimate the risk of developing breast cancer. MammoRisk was developed as a project funded by the ARC Foundation (France), in collaboration with the Gustave Roussy Cancer Centre (France) and the Breast Cancer Screening Consortium (US). 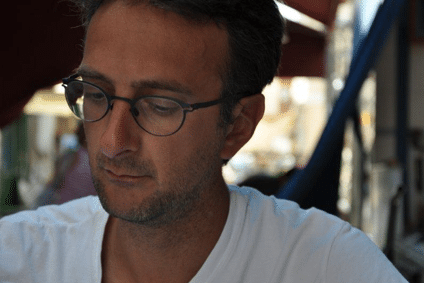 Stephane Ragusa is the founder and President of Predilife. He has been working on risk prediction models and software for prevention since 2004. He has led the project Predicancer granted by the National Agency of Research. He graduated from Ecole Polytechnique, and from National School of Statistics and Economics (ENSAE). He holds a PhD in Molecular Biology from University Paris XI – Orsay. He is assistant professor of Statistics at University Paris VI Pierre et Marie Curie. Predilife will be responsible for the implementation of the density and risk assessment software to be used in the experimental arm of the trial. CNGE (Collège National des Généralistes Enseignants) is the main scientific society of general medicine in France. It brings together all the academics of the discipline (80 university, 200 associates and 8000 GP trainers) and constitutes the academic “pole” of the recognised discipline in France. NGE will mobilise of the French CNGE Network investigators (1 coordinator per area, with 15 expected participating French areas and 25 GPs investigators per areas) during the investigation trail of the project. CNGE will be highly engaged in the communication work package, especially towards the healthcare community and the investigators. Paris University 13 is one of the thirteen universities that were created after the reorganization of the old Sorbonne after 1968. It now has 24,000 students, spread across five campuses pursuing degrees or continuing education. Truly multi-disciplinary in nature, Paris University 13 is a major centre of teaching and research in the north of Paris. Within Université Paris 13, The Institute for Interdisciplinary Research on Social Issues (Social Sciences, Policy and Health) (IRIS) is a mixed research unit associating EHESS, CNRS, Inserm, and the University of Paris 13. IRIS brings together some 100 research holders in anthropology, sociology, history, law, political science, public health and forensic medicine. Université Paris 13 is the leader of the Work Package 5: Sociological, ethical and psychological assessments. They also lead on the specific task on analysing the professionals’ point of view concerning this new screening strategy. Université Paris 13 will contribute to the work packages on communication and developing recommendations for breast screening based on the outcomes of the project. Within UoL1, the research lab Health Services and Performance Research (HeSPeR) is focused on health services performance in medical care, health promotion and prevention. 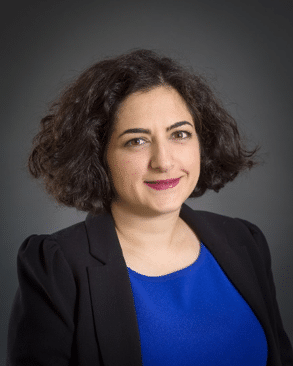 Nora Moumjid is Senior Lecturer in Health economics and Public Health applied in cancer in Lyon 1 University, Faculty of Pharmacy. 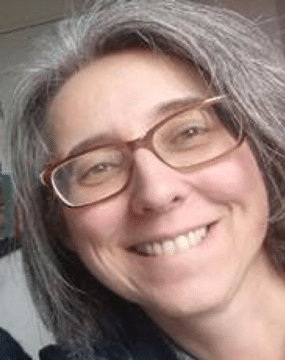 Since 1997, she works in the Comprehensive Cancer Center Léon Bérard where she leads a multidisciplinary working group composed of clinicians, socials scientists and patients on shared decision-making. She is member of the shared decision-making scientific community since the beginning and she will chair the international shared decision-making that will take place in Lyon in July 2017. She published several papers in international and national peer-reviewed journals on patients’ information and participation to the decision-making process with a focus on elicitation and risk communication methods. UoL1 will lead the analysis of women understanding of the information provided and of the socio-economic status and its impact on women’s decisions towards breast cancer screenings (organised, individual and risk-stratified). behaviours and other psycho-social aspects of the trial. The ARC Foundation for cancer research is a key player in oncology research in France. Since its creation as an association in 1962, the ARC (French acronym for: Cancer Research Association) has been a forerunner in the operation and financing of oncology research. In 2012, in order to meet the new research challenges, the ARC decided to become a foundation, namely the ARC Foundation for Cancer Research. Nancy Abou-Zeid has a PhD in Cell biology, and a training in clinical research. She has 15 years of experience in the field of oncology, both in basic and clinical research. 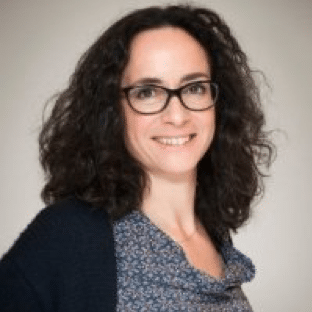 She is Head of Translational research and innovation at the French Fondation ARC pour la recherche sur le cancer since 2011, managing a team of 3 collaborators. Her main activity is the identification of innovative projects in the field of cancer (basic, translational and clinical research, public health, epidemiology), through calls for proposals or direct partnerships with research institutes/clinical research sponsors in France or abroad. Nancy is also in charge of ARC Foundation’s scientific collaborations with French and international partners in the field of cancer research. The Fondation ARC will rely on its expertise to contribute to the communication (WP6) about prevention, screening and research, in order to support the other partners in the definition of messages and the best tools needed for dissemination of the different categories of messages. diseases and trauma (~30 scientific staff members) covers the areas of cancers, cardiovascular diseases, mental health, nutrition, diabetes, neurodegenerative diseases, and unintentional injuries. several data sources such as cancer registries, death certificates, health administrative databases; and the evaluation of the national cancer screening programmes. cohort studies in cancer epidemiology and radiation, with main focus on breast, lung and thyroid cancer. 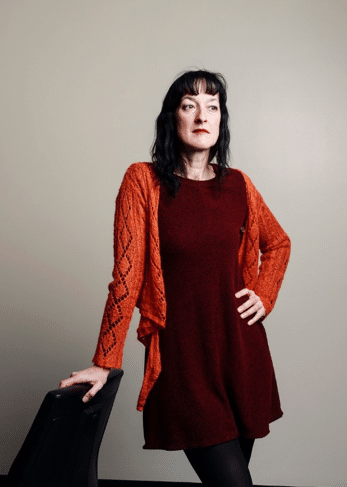 She joined the cancer team of the French public health institute (Santé publique France) in 2008, where she first worked on cancer surveillance studies using registry or health insurance data, mainly on breast, thyroid, lung and uterine cancers. While maintaining activities and expertise on cancer surveillance, cancers attributable to lifestyles and the environment, including radiation, in 2013 she became responsible for the evaluation of breast cancer screening. Its main activities are then : the constitution of the national French breast cancer screening database, collapsing data from 99 departments; the production and analysis of the performance indicators of the national screening program; the statistical analysis of their temporal and geographical variations; the statistical analysis of the relationship between screening and social deprivation; the impact of the French breast cancer screening program on mortality. SpFrance will advise on the harmonisation of data collection in participating local screening structures in France and will assess whether the trial control group is comparable to the population participating in the regular French breast cancer screening programme with regards to screening results. The Centre d’Etude du Polymorphisme Humain (CEPH) was established in 1984 by Jean Dausset to promote international collaborative research in human genetics with the vision of developing individualized genomic medicine (following the model of HLA). During the subsequent 25 years, the model of international collaboration pioneered by the CEPH has been a major driver in the successful mapping and sequencing of the human genome. Today CEPH is engaged in a variety of programs dealing with human translational genomics. 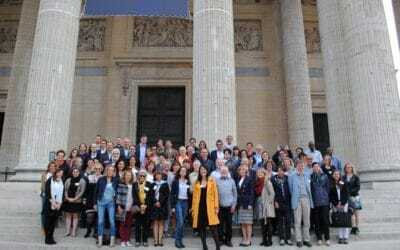 CEPH is the coordinator of the GENMED LabEx funded by the French National program “Investissement d’Avenir”. The CEPH Biobank is a center for biological resources (CRB) with a longstanding (more than 30 years) recognized experience. Historically, the CEPH Biobank was involved in the first French collections of biological samples established for genetic studies of diabetes, aging, Crohn’s disease, spondylarthropathy, neurofibromatosis but also in population genetics studies with the Human Genome Diversity Panel-CEPH (HGDP-CEPH). As of today, CEPH biobank is a key partner in the establishment of numerous cohorts funded by the French national program “Investissements d’Avenir” such as COBLAnCE, CANTO, RaDiCo and other national cohorts such as GAZEL, EPIPAGE2. Jean-François Deleuze is, since October 2012, both the director of the Centre National de Recherche en Génomique Humaine (CNRGH) and the scientific director of the Centre d’Etudes du Polymorphisme Humain (CEPH-Fondation Jean Dausset). JF Deleuze began his career in the pharmaceutical industry working for Rhône Poulenc Rorer and then Aventis and finally Sanofi where he established and headed the worldwide Human Genetics center of the company (40 peoples) for about 10 years. JF Deleuze has coordinated numerous international translational research collaborative projects (identification of biomarkers and therapeutic targets) in the field of the genetics of multifactorial diseases (schizophrenia, bipolar disorder, Alzheimer …) and cancer, involving academic groups but also biotechnology companies. JF Deleuze was one of the initiators/pioneers of the introduction of personalized medicine approaches in the pharmaceutical industry. In his last 2 years at Sanofi, JF Deleuze built an efficient and state of the art stem cell platform that has delivered world-class translational tools and disease models. 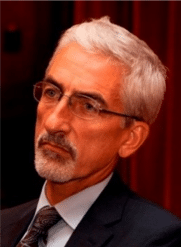 Beside his actual leadership positions at CNRGH and CEPH, JF Deleuze is executive board member of France Génomique and heads the laboratory of Excellence (Labex) GenMed dedicated to the development of personalized genomic medicine. Recently, JF Deleuze played a key role in the development of the French Genomic medicine 2025 plan. He is in charge of heading the R&D center of the French genomic Medicine plan (CREFIX). JFD is member of several scientific boards (University Paris Sud, Vacarme project, IBISA…) and member of the editorial board of Human genetics. JFD has authored 160 publications in peer review journals and 20 patents in the field of genomic medicine. JFD’s H factor is 33. CEPH will be in charge of DNA extractions, Quality Control, aliquoting and transfer of DNA aliquots to CEA (WP3). CEPH will also participate to the dataflow with the web platform (WP1) and advise the sponsor and investigator centres regarding samples flow (WP1 and 2). The National Human Genome Research Center (CNRGH) is a department of the CEA which main objective is to advance research of the genetics/genomics of human diseases through internal and collaborative research programs. The CNRGH is part of the Institut de Biologie François Jacob (IBFJ) within the Fundamental Research Division (DRF) of the CEA. The CNRGH has developed a number of state-of-the-art genomics technology platforms and laboratories for the management of biological resources, for discovery of disease genes and biomarkers, and for follow-up studies using various approaches including functional genomics. A team of bioinformaticians and bioanalysts ensure data quality control, management and interpretation respectively. Key platforms include high-throughput platforms for genotyping, sequencing (WGS, WES, genes panel etc. ), expression profiling (RNA-seq), DNA methylation analysis and a number of functional genomic applications (e.g. 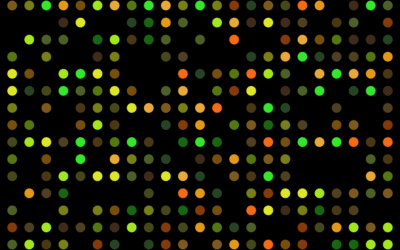 oxWG-BS, WG-BS, HiC, DNase-seq, ATAC-seq, ChIP-seq etc.). In addition there is a laboratory dedicated to technological development that performs extensive testing on the latest omics based technologies to evaluate them and determine if they are ready for routine production. The CNRGH has been extensively testing the latest long-read technologies including the Chromium platform (10X Genomics), the MinION and PromethION (Oxford Nanopore Technologies) and the Saphyr optical mapping platform (Bionano genomics). The CEA will be in charge of all the genotyping of the project as well as of genotyping data quality control and transfer to the centralized data handling platform (WP3). The CEA is running an Illumina high throughput genotyping platform and has the capacity to treat 12 96-well plates per week. The CEA will also be involved in the discussions concerning the list of SNPs to add on the genotyping array. Assuta is Israel’s largest and leading group of private medical services centres, comprising eleven clinics and five hospitals across Israel. More than 50% of all services are provided to publicly-insured patients. Assuta provides innovative surgeries and diagnostic procedures in all fields of medicine. Assuta Imaging Centres offer a broad range of services and tests nationwide. Assuta is one of the founders of breast screening imaging centres, providing this service to the Israeli population for the last 20 years. 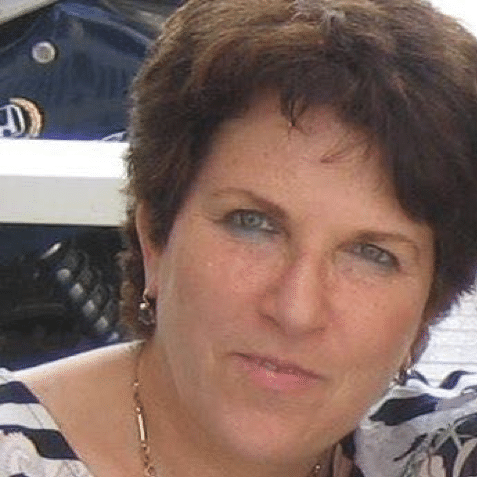 Michal Guindy received her MD from Ben-Gurion University Medical School, Beer Sheva, Israel in 1982. Dr Guindy specialized in radiology and is still a practicing radiologist (breast). In 2001 she earned a MPA from the Kennedy School of Government – Harvard University, Boston, Massachusetts USA. At Maccabi Healthcare Services (HMO) Dr Guindy held several management positions during the years 1998-2014. She chaired the Risk Management and Patient Safety Department from 2003 through 2009. From 2009 through 2011 Dr Guindy was Head of Central Services, where she was responsible for radiology telemedicine, laboratories including the pathology lab, pharmacies and call centers. During the years 2011- 2014 Dr Guindy served as Medical Director of the Central district, Israel, a position responsible for medical services provided to 250,000 people.Since 2014 Dr Guindy has been Medical Director of Imaging at Assuta Medical Centers. She is responsible for running the seven imaging centers across Israel producing over 600,000 studies annually. Her academic activities include coordinator of Patient Safety Implementation Program (WHO initiative) in Sackler School of Medicine, Tel Aviv University. Since 2013 Dr. Guindy has been involved in multiple Big Data research projects, particularly in the field of radiology. ASSUTA will provide the PI of MyPEBS clinical trial for Israel and the leader of the genetic analysis platform in Israel. Regarding Work Package 5 and Work Package 6, Israeli social and communication specialists will be invited to exchange with the active partners of the specific to consider language and cultural differences. Reggio Emilia province. It provides directly in-patients, out-patients, primary and preventive care; it also buys from other private and public hospitals and clinics for all the citizens residents in the province. It works for the protection and the improvement of public health, health promotion and the reduction of health inequalities and access to services. 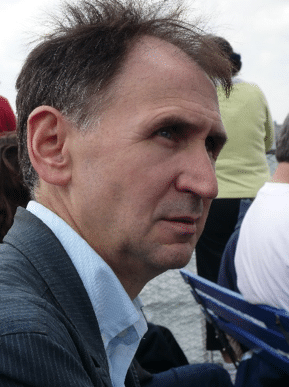 Dr Paolo Giorgi Rossi obtained the MSc in Molecular Biology in 1994 and Ph.D. in Cellular and Animal Biology in 1998 at the University of Pavia (Pavia, Italy). Since 1998, he has been working at the Agency for Public Health of Lazio, Rome, Italy, where he directed the Health Technology Assessment Service from 2006 to 2012. Now he is the director of the Epidemiology Service in the Reggio Emilia Local Health Authority and Research Hospital (AUSL – IRCCS). His principal interest is the evaluation of Public Health interventions and particularly cancer screening. He is principal investigator of several independent epidemiological studies and screening trials. He is author or co-author of more than 250 publications indexed in PubMed and more than 50 monographs and book chapters. He is has been the president of the Italian Cervical Cancer Screening Group, the scientific society of the cervical cancer screening in Italy and member of the coordinating committee of the Italian Mammographic Screening Group. He collaborates with the EUREGHA (European Regional Health Authorities Association) in the screening working group. In 2006 he joined the didactic committee of the Ulysses International Master in HTA. AUSL RE will co-coordinate the clinical trial investigation in Italy for the whole trial. It will also coordinate the recruitment in the 6 Italian centres with the goal of recruiting at least 30000 women. AUSL RE also coordinates the imaging working group. This task includes the definition of the operative protocols for breast density measurement, use of mammography, tomosynthesis (including synthetic 2D), ultrasounds and MRI. della Scienza, Torino, is active in cancer registration, primary cancer prevention, cancer screening programmes, monitoring the quality of care for cancer patients and research on cancer aetiology, within the Regional Health System. In May 2014 CPO was designated as WHO Collaborative Centre for cancer early detection and screening, representing the only European WHO Collaborative Centre in this field. Senior epidemiologist at the Unit of Epidemiology, Screening and Cancer Registry – CPO of AOU Città della Salute e della Scienza di Torino. 1991-2001: Epidemiologist at Local Health Agency n. 1 – Turin. Since 2002: Epidemiologist c/o AOU Città della Salute e della Scienza di Torino. 1989- 2000: Member of the Oncology Committee of the Piedmont Region. Since 1993: Member of the School of Public Health, University of Turin. Research fields: Breast and cervical cancer screening organisation and evaluation, randomised trial on cancer screening compliance, communications and psychological aspects in secondary cancer prevention interventions, cancer screening by immigrant and minority women; cancer screening in developing countries and in low-resource settings; smoking prevention and control; cancer screening and healthy lifestyle promotion interventions (diet, physical activity and tobacco consumption). CPO-AOU will coordinate Work package 6 -Communication. CPO–AOU will work to guarantee an efficient and representative recruitment of women within the clinical trial, offering inter-cultural and balanced communication and encouraging an informed participation. The communication will be directed both to the general public, women in the target age category, advocacy groups, and health professionals. CPO-AOU will also participate in the investigative trial of MyPeBS by seeking to enrol 5.000 women from the Piemonte region. Istituto Scientifico Romagnolo per lo Studio e la Cura dei Tumori, IRST IRCCS, is a medical Institutions of excellence, particularly dedicated to biomedical and health system research with its focus on cancer. The Institute was created by a public-private partnership between public Regional Health authorities, a non-profit private organisation, and local banking foundations. IRST IRCCS is fully integrated within the Public Health system in a north-eastern area of Italy with more than 10.000.000 of resident population. Coordinator IOR Medical Scientific Committee from June 2014. Coordinator and teacher in courses on clinical and instrumental breast cancer diagnostics organized by the Forlì School of Biomedical Sciences and Oncology 1992-1995; member (1997) of the Ministry of Health working group, Department of Planning, for the translation of ICD-9-CM classification; 1996-2001 coordinator of the National Research Council (CNR) Strategic Project Robotics in Surgery; Teacher at the Postgraduate School of Oncology, University of Ferrara for the topics “Epidemiology, Prevention and Early Diagnosis of malignant tumors”(ongoing)..
IRST IRCCS will seek to 5.000 women in their region as part of the MyPeBS clinical trial. IRST IRCCS will contribute to methodology and data analysis in Work Package 3 and provide further expertise and knowledge to other work packages in the project. primary and secondary preventive oncology research. Within the Institute screening for breast, cervical and colorectal cancer is ongoing since the 1980s and high skilled competences in epidemiology, breast radiology, gynaecology and gastroenterology are represented. The Institute was appointed for both National Screening Monitoring Centre (ONS) and Regional Reference Centre for Preventive Oncology (CRRPO). ISPRO will seek to include 5.000 women in their region as part of the MyPeBS clinical trial. ISPRO will contribute to the methodology and data analysis components of Work Package 3, and the mathematical modelling to be performed in Work Package 4 by focusing on the topics including screening overdiagnosis and efficacy, as well as breast cancer risks factors evaluations. Erasmus MC is the largest University Medical Centre of the Netherlands, with around 14,000 staff members. Its mission is to contribute to a healthy population and to excellence in health care through research and education. evidence-based public health through research and education. Among the public health areas studied by the Department are social determinants of health, medical demography, occupational health, cancer screening, infectious disease control, and medical decision-making. Professor of Public Health & Screening Evaluation in the Department of Public Health of the Erasmus Medical Center in Rotterdam. 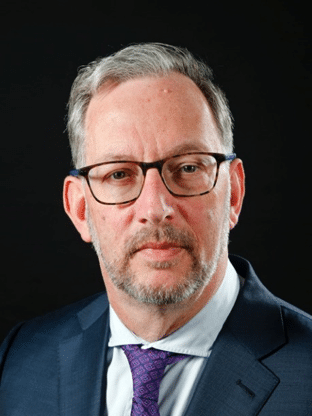 Professor Henricus (Harry) J de Koning worked as Researcher and Assistant Professor in the Department of Public Health of the Erasmus University in Rotterdam (1987-1999). He became Associate Professor in 1999 and in 2008 he was appointed Professor of Public Health & Screening Evaluation in the same department. He was also Senior Associate in the Department of Health Policy and Management at the Johns Hopkins Bloomberg School of Public Health (2011-2012). Since 2011 he has been a Member of the Medical Advisory Board of the Royal Netherlands Academy of Arts and Sciences (KNAW). Guiding public health policies using predictions of favorable and unfavorable effects and the cost of screening, based on micro-simulation modelling of the natural history of disease, and cost-effectiveness and cost-utility analyses. ERASMUS MC leads on the work package responsible for mathematical modelling to quantify the long-term benefits, harms and cost effectiveness of risk-based screening scenarios (Work Package 4). ERASMUS MC will actively contribute in an advisory capacity to the majority of other work packages in the project. University of California, San Francisco (UCSF) is the only campus in the 10-campus University of California system that is exclusively focused on the health sciences, with top-ranked programs in medicine, nursing, pharmacy, dentistry, basic science, social science and global health. UCSF is the top public recipient of funding from the National Institutes of Health (NIH) in the United States. The Athena Breast Health Network, headquartered at UCSF, is a network of the 5 University of California medical centres and Sanford Health, one of the largest rural health networks in the country. Dr. Esserman has a wealth of experience overseeing innovative, large-scale clinical trials. She is co-principal investigator of the I-SPY platform trial taking place at institutions across the United States. I-SPY is a biomarker-rich, adaptive, multi-agent clinical trial platform that introduces administrative and statistical efficiencies, and capitalizes on the availability of a near-term surrogate endpoint to speed the phase II development of new agents for neoadjuvant treatment of advanced breast cancer. To date, 10 agents have been screened in the trial, with a number ‘graduating’ to phase III clinical trials. In 2015, under Dr. Esserman’s direction, Athena Network was awarded a grant from the US “Patient Centered Outcomes Research Institute” to conduct a large-scale comparative effectiveness trial of risk-based screening for breast cancer versus annual screening (the US standard of care). WISDOM has assembled a truly multidisciplinary team and demonstrated its significant expertise in a vast array of specialties required to undertake a trial such as WISDOM or MyPeBS, including: mammography and standardization of imaging, genetic screening and counselling, modelling breast cancer risk and polygenic risk scores, development of clinical decision tools based on cancer risk, electronic survey tools and instruments and their integration with case report forms, measurement of the psychological impacts of screening/diagnoses, and other operational components required for trial implementation. The 100,000 patient WISDOM study, a companion study to the current proposal, opened in September 2016 and is currently enrolling. UCSF, through The Athena Network and WISDOM Study are the US-based companion/partner study to MyPEBS. In general, UCSF will provide advice and expertise, as needed, for all aspects of MyPEBS, sharing our experience in the design, implementation, enrolment and analysis of the WISDOM study of risk-based screening for breast cancer, which is currently enrolling in the US. Its reputation for outstanding academic achievement is known world-wide, reflecting the high-quality original research carried out by its staff and the intellectual achievements of its students. The university employs more than 10,000 staff, while more than 12,000 undergraduate and over 7,000 postgraduate students live and work in one of the university’s 31 autonomous Colleges. Within the University of Cambridge, the School of Clinical Medicine, Radiology Department participates in MyPeBS. This department currently works with the Huntingdon & Cambridge Breast Screening programme, which delivers mammography screening to 20,000 women per annum. Professor of Radiology, Head of Department of Radiology at the University of Cambridge for 5 years and prior to that at the University of Aberdeen since 1996. 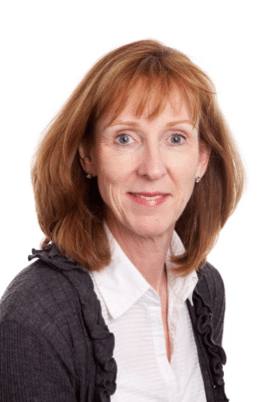 She is an expert in all modalities of clinical breast imaging, has more than 30 years experience in breast screening, previously as Clinical Director of screening in the Northeast of Scotland. She has an extensive research track record in assessing novel imaging techniques (Multispectral OptoAcoustic imaging, DBT, CESM, PET MRI), has experience in running multicentre imaging trials, undertaking systematic reviews. She has run several large scale clinical imaging studies in breast screening (TOMMY trial 9,000 women; CADET II 30,000 women; CADET I 10,000 women). She participated in MARIBS MRI screening trial of high risk screening which influenced practice in the UK and the IBIS, the tamoxifen prevention trial. She is chair of the UK National Cancer Research Institute Imaging Advisory Group. translation) of all documentation, as well as the safety and pharmacovigilance activities and quality assessments working with the patients’ associations and trial coordinators. and a very strong track record in health-based research. Professor Evans has established a national and international reputation in clinical and research aspects of cancer genetics, particularly in neurofibromatosis and breast cancer. He has published 715 peer reviewed research publications; 265 as first or senior author. He has published over 110 reviews and chapters and has had a book published by Oxford University Press on familial cancer. He has an ISI web of knowledge H-index of 97 and google scholar of 131 having only published his first article in 1990. In the last 7 years he has raised over £45 million in grants for multicentre and local studies – approximately £38 million to Manchester. He is Chief Investigator on two NIHR program grants (2009-2014-£1.59 million) (2017-2020-£1million) on breast cancer risk prediction and also has an NIHR RfPB grant as CI (2011). He as supervised 13 successful doctoral theses and is currently supervising five. 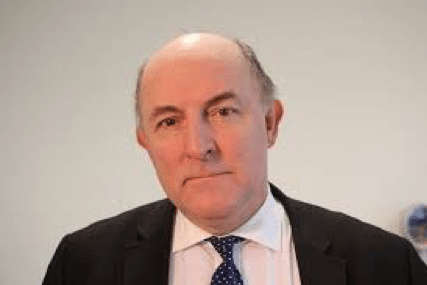 He has led a successful bid for a Nationally funded NF2 service (£7.5 million pa) that started in 2010 and is involved in the national complex NF1 service. He is overall cancer lead (3 themes) and Cancer Prevention Early detection theme lead on the successful all Manchester NIHR Biomedical research centre bid (2017-2022-£28.5million). He is lead clinician on the NICE familial breast cancer guideline group and until recently a trustee of Breast Cancer Now and the Neuro Foundation. He is on the editorial board of JNCI and is a board member of the Science Strategy Committee of Breast Cancer Now. enrolling participants into the clinical trial in the UK, and collecting the subsequent data. The Applied Vision Research Centre (AVRC) of Loughborough is the leading European centre for the monitoring and assessment of the performance of radiologists in interpreting medical images. Staff have been involved in medical imaging for over 40 years and developed the PERFORMS scheme which is a world first in monitoring the skills of breast screening radiologists. including prostate and lung cancer. Director of the Applied Vision Research Centre. Dr Chen is a computer scientist and a leading international scientist in the field of medical imaging perception and specialises in women’s health, particularly breast cancer. She leads the PERFORMS self-assessment scheme in breast cancer (a major UK national research project which is funded at over €1.2m every three years), as well as other imaging research in radiology and surgery. She has been awarded honorary membership of the Royal College of Radiologists for her radiological research. The AVRC will lead in the quality assessment of the trial radiologists to ensure that they all are of an equivalent international standard. The AVRC will deploy the PERFORMS self-assessment scheme across all radiologists and regularly assess their cancer identification skills using difficult test breast screening case sets of known outcomes. Queen Mary University of London is one of the UK’s leading research-focused higher education institutions. With 21,187 students and 4,000 staff, it is one of the biggest University of London colleges. It encompasses Barts and the London School of Medicine and Dentistry. The Centre for Cancer Prevention (CCP) is housed in the Wolfson Institute of Preventive Medicine within the School of Medicine and Dentistry. The CCP is a leading research centre in primary prevention of and screening for cancer. 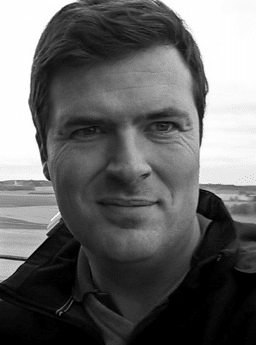 Stephen Duffy is a statistician by training, educated at the University of Edinburgh and Imperial College, London. He has worked in the UK, Singapore, France, Sweden and Russia. He is the Director of the Department of Health’s Policy Research Unit in Cancer Awareness, Screening and Early Diagnosis. For the last three decades, his research has been mainly in cancer epidemiology, prevention and screening. He worked on the pioneering Swedish Two-County Trial of breast cancer screening, on which the UK’s national breast screening programme was based. Since then, he has taken a major role in a number of other trials of cancer screening, in breast, colorectal and lung cancer. These include the UK Trial of Flexible Sigmoidoscopy whose results changed national policy within weeks of publication, and the FH01 study of annual mammography in young women at enhanced familial risk of breast cancer, which contributed to the NICE guidelines on breast cancer risk management. More recently his research has focussed on behavioural aspects of screening, including trials of reminders, second timed appointments and out-of-hours appointments in breast cancer screening, and trials of augmented invitations and reminders, and primary care endorsement in colorectal cancer screening. 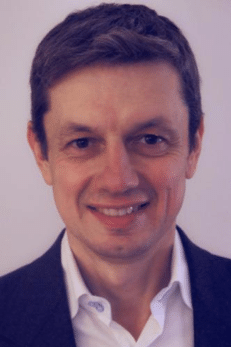 He is a screening editor on the EU Guidelines Development Group for breast cancer screening and diagnosis, and a member of the UK’s National Screening Committee. QMUL will pay a major part in drafting the recommendations in the light of the results of the MyPeBS project. Independent Cancer Patients’ Voice (ICPV) is a patient advocate group independent of established UK cancer charities and aware of the value of medical research to both public health and to the national economy. The aim of ICPV is to improve existing treatments for every cancer patient and develop new treatments by bringing the patients’ voice into clinical research. ICPV will work with patient representatives and advocacy groups to ensure that there is patient input into the development, implementation and dissemination of the work. ICPV will be especially active in work packages 5 & 6.